Will the NBA ever come back? Thursday at Staples Center was supposed to be packed with basketball fans ready to watch the New York Knicks play the Los Angeles Lakers — but instead of ticket lines it was nearly empty. The NBA has canceled games through December 15th, and many doubt the season can be saved. 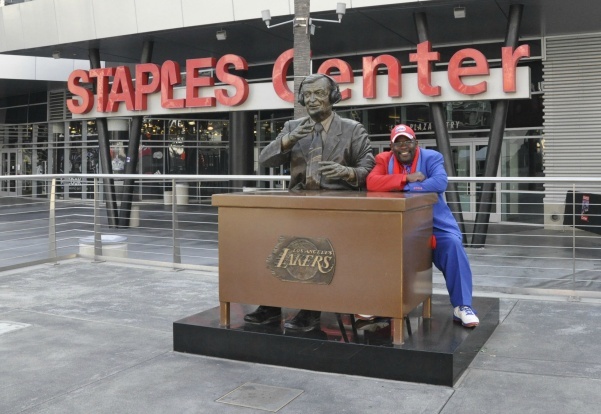 Off-Ramp’s Raghu Manavalan met with 18-year long Clipper fan Clipper Darrell, real name Darrell Bailey, in front of a desolate Staples Center to talk about his affinity for the Clippers, his attempts to camp out in front of Staples Center until the lockout ends, and the labor dispute’s impact on the Los Angeles community. 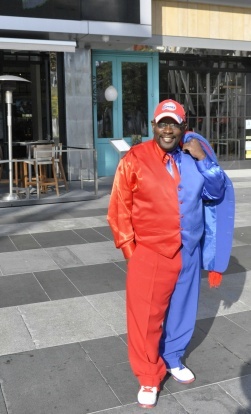 While the NBA sorts out their issues, Darrell has turned in his Clipper blue and red suit for the black and gold of the Long Beach State 49ers.